For the second year in a row, the country that won the televote did not win the Eurovision title. That has sparked calls for jury reform not just in Russia, which won the televote, but also in countries including Poland, Austria and Serbia, all of whom were let down by the juries. First let’s take a look at the overall results, which show Ukraine’s Jamala was the most consistent performer across both halves of the equation. She came second to Russia’s Sergey Lazarev in the televote by a relatively small margin of 38 points. To put that in perspective, she was 101 points ahead of Poland’s Michal Szpak, who finished third in the televote with 222 points. They were the only three competitors who managed to crack 200 points with the people. Australia’s Dami Im, who finished second overall, and Russia’s Sergey Lazarev, who finished third, did not have the same consistency across televoting and jury voting. Australia won the jury vote in a landslide — 320 points to Jamala’s 211. But she could only muster fourth place with the public. Russia’s Sergey won the televote, but could only manage fifth place with the juries — finishing behind Australia, Ukraine, France and Malta. In the chart below, we’ve ranked countries by the difference in their jury ranking and their televote ranking. A negative score means that the jury hurt a country, while a positive score means they helped them. For instance, Poland’s Michal Szpak came third with the televote. But he only finished 25th — yes, next to last — with the jury, only besting last-place finisher Jamie-Lee from Germany. He was the contestant most hurt by the jury. Austria’s Zoë sees a disparity of 22, having reached eighth position with the public, but just 24th with the jury. Others losing out because of the jury include Serbia’s Sanja (-12) and Azerbaijan’s Samra (-7). Malta’s Ira Losco benefitted the most from the inclusion of a jury. She only ranked 21st with the televoting public, but managed fourth place with the juries. It’s well-known that Israel must contend with prejudices and criticism from abroad and that this can impact its results. Hovi Star only managed 22nd with televoters, but he pulled eighth place with the juries. Others who benefitted from the inclusion of the jury include Belgium’s Laura (+10) and the United Kingdom’s Joe & Jake (+8). Ukraine’s Jamala was the only contestant whose ranking with the juries and televoters was the same. She finished second with both. “? ?¦When interviewed, Torah’s father at first only replied ‘I have no daughter!’ before his wife politely and self-effactingly reminded her husband that his comment was a Jewish epithet and not a traditional Amish one. The father then retorted ‘mox nix which cheek is turned, both will still be burning in Hell!’ and went back to churning the day’s quota of butter.” FileMaker Pro 11 Advanced The preview version of GigJam ? ?“ a collaboration app inbound for Office 365 that allows users to easily share all manner of content ? ?“ was made available to all comers. maybe you have to edit the manifest inside the main executable? ?¦ I had to do so with some java app? ?¦ but it’s harder and you have to get a resource editor Ableton Live 9 Suite The portions marked with brown labels at the beginning and end of the graph represent the buffer use when data is imported into HDFS. After TeraSort starts, buffer use increases; however, buffer use is not very different than for TeraSort without writing data to HDFS because MapReduce jobs in general have a higher priority than background jobs such as copying data to HDFS. Regarding the Polish result, ESC fans have to accept they have different music tastes than home viewers of ESC. I think Pollaponk are a good example. Fans consistently ranked them close to the bottom but they went to the grand final & got a respectable place. That was not Icelandic diaspora. This year Poland was popular. Deal with it. I used to be the biggest supporter of juries but not anymore. For the second year in a row they have screw up the result. Juries do NOT guarantee the best song wins. They gave the prize to Sweden’s Heroes which was just a generic pop song with good staging. Not even the public were fooled. Either the juries go or we have 2 separate prizes; the juror’s choice and the people’s choice. I think the jury should come out of this competition because they had failed to appreciate the objectively all of the participating countries . EBU, You need to change voting rules. Jury voting must be up to 100 points and the jury will be assess the show, performance of all the participating countries till 100 points . In this case, voting can to some extent be fair. There is google translator, we can find out what are you talking about. Cholernie du?o zajmujesz si? polska emigracj?, naprawd?. Mo?e spróbuj poczyta? o emigracji ukrai?skiej? Podpowiem – u nas w tej chwili jest ich milion. twój g?os w tej dyskusji jest dla mnie najbardziej irytuj?cy! O co ci chodzi ? Po co to piszesz – no chyba, ?e jeste? fanikiem margarety. Znasz to stare przys?owie “nie…we w?asne gniazdo”? Bez pozdrowie?! Please keep your thinly veiled pseudo-nazi thoughts about muslims to yourself. There is no question diaspora helped him a lot, but there were lots of non-polish people who voted for him too. so hot and horny, such an embarrassment ! Yes Michal’s song is cheesy, so ? Why do you think that means unlikeable ? It’s a genre that will never go away. Not like in our West Europe Elite. Yeah get rid off the jury and then we’d start having again the Greece-Cyprus 12 points exchange, all of the Balkans and Scandinavia in the final, and people will start with the “it’s all East” again. I can’t believe Austria would want televoting-only back. In 2008 they withdrew because of that reason and they didn’t come back after seeing Germany under the new system. And the idea of the massive Polish diaspora voting is hilarious. During the televoting-only years Poland reached the Top 10 once (in 2003) and the final once (2008). One thing that helps get on the site is to run your web browser in Incognito/Private mode. For me this has helped a lot over the past few days. I really can’t explain how Poland reached 3rd place on televoting.. Maybe the easy and catchy and silly and cheesy lyrics presented behind helped, but 3rd place!? All I know is noone can blame diaspora, ’cause if it was just the diaspora making the difference, then how do u explain Poland’s 2005,2006,2007,2008 placings?.. I still believe that Europe thought Poland did send Margaret, how couldnt they after all! ‘Cause 3rd place on televoting and 25th on juries sounds totally like a Margaret result. lol. Polish diaspora in Russia, Albania, Hungary, San Marino, Belarus? Isn`t possible. 36 countries voted for Michal Szpak. Also 41 countries voted for Sergey Lazarev but only 21 gave Russia any point. It`s incredible. Sergey and Michal are very good vocalist. Their songs are catchy and beautiful. They deserved at first (Russia) and third place. Perhaps Wiwibloggs should run a poll to see the number of readers who have had this message? The problem is they can’t get on the site!! And what about the other 25 then? We’ll just ignore those then? Diaspora helps if the scoring gets tight at the top, that’s it. Sweden can get 48 points from the Nordics…………………so what? You cannot achieve very much in the ESC without the other countries, especially if you want to win. @Mark W – “The whole reason I love Eurovision so much is that it DOES bring countries together. “. Go tell to Armenia, Azerbaidjan, Russia and Ukraine! So Russia has huge Polish diaspora somewhere, it seems? Strange, I didn’t see them anywhere around. Countries like Azerbaijan or Georgia have no meaningful Polish minority but voted Poland highly anyway. People continue to invent some huge Polish diaspora voting for Shpack, instead of just admitting that his performance was great. Switzerland was better than Poland in Second Semi Final ? This is joke jury…. Voices wievers are more important than unknown jurys…. Of these 35, 25/41 (61%) ranked Poland in the Top 6 giving them 5 to12 points. Still think it is diaspora? Even last year televote scoped 47 points for Poland whilst juries gave 2. Methinks it may be getting time for Wiwi to move the entire site to a new server. You can’t blame the “Error establishing a database connection” message on the traffic now, because the contest is long over with. @Pollaski: I agree with you on keeping the jury in place. Here’s an idea that might satisfy some people: How about a separate Jury Award and a Televoters’ Award, to go with the overall contest trophy and those Bezençon Awards? Or am I expecting too much here? As always juries were a lot better than the ignorant televoting. If it wasn’t for them, Georgia’s masterpiece wouldn’t even made it to the final! Seriously, is the televoting so freakin dumb to give Russia’s garbage a 1st place? LOOOL! Not that i’m a fan of Australia’s entry but i prefer it a lot more. Anyway, Jamala absolutely deserved this, her performance was something simply phenomenal and honestly, i think it’s one of the best winners ever. regarding poland. szpak is said to perform much worse for jury than for the final. maybe that’s the reason. You have to admit, in recent years, the Western countries are sending better songs. It isn’t the jury vote that is helping the West get into the top 5. 10 years ago, it was only Eastern Europe (plus Greece, Sweden and Norway) that cared about Eurovision. Now, it’s everyone, and the competition is much more intense. @Angelo: you think all of the Maltese entries that passed to the finals were not good to do so? Keep your argument and your hate for yourself. Just because you don’t like it doesn’t mean there is suspicion. How stupid. 2012 was energetic, 2013 and 2014 found a niche and were good song, 2016 was just amazing. 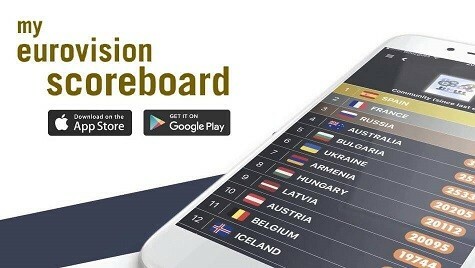 The public in 35 out of the 41 countries (85%) ranked Poland in the Top 10 and gave them points.